E's bed doesn't have a boxspring because she is only three and would have a hard time climbing on and off the bed. Instead she has a piece of wood under the mattress until she gets a little taller. This leads to a problem when it comes to bed skirts. They just won't fit right without the boxspring. 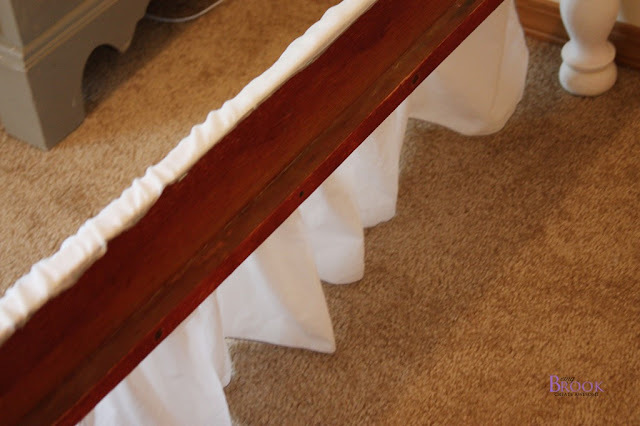 So instead of making a bedskirt that went under the mattress I sewed three separate strips and stapled them to the bed. First I measured the bed. 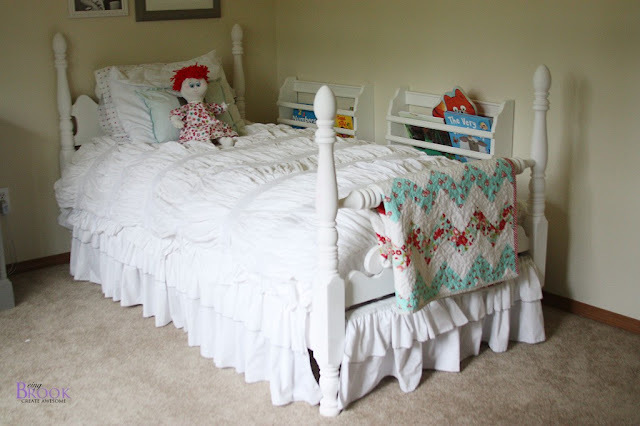 I'm going to give you my bedskirt measurements but you will want to measure your bed since mine is custom to E's bed. The long sides of the bed were 75" so I had one piece of fabric 3" by 75" (for stapling), one piece of fabric 150" x 13 3/4" (for the first taller ruffler) and one piece of fabric 150" x 6.5". The end of the bed was 35.5" by 12.5" so I had one piece 3" by 35.5", one 70" x 12.5" and one 70" x 6.5." I used a rolled hem on my serger to serge all the edges of the strips of fabric so they had the same finished edges as the ruffled curtains. Then I stacked the smaller strip on top of the long strip. 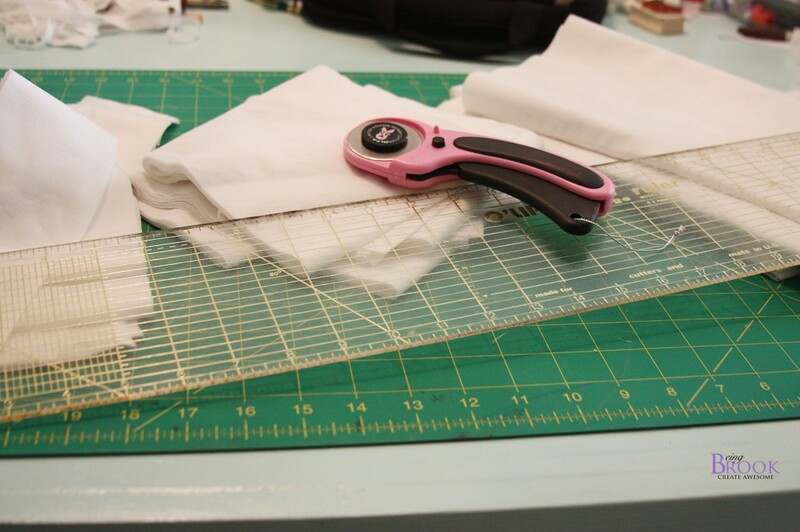 After I stacked the two strips of fabric together I ran them through my ruffler. This ruffled the fabric and sewed them together at the same time. Super easy but tedious. 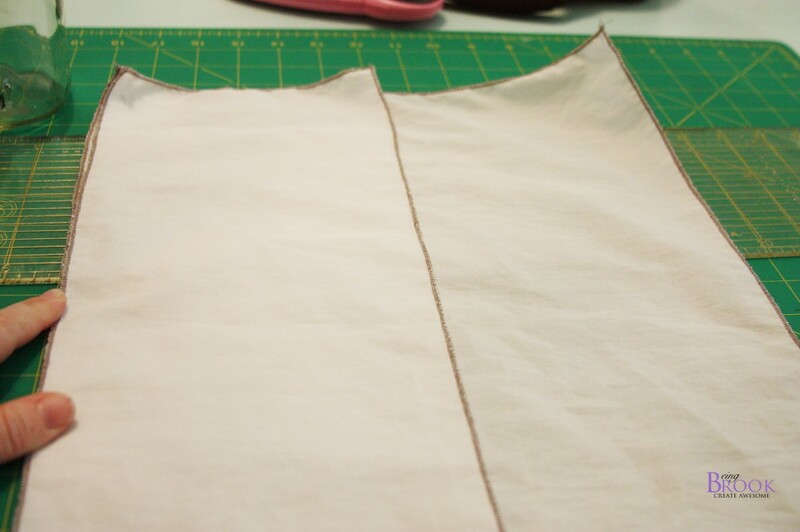 Then I sewed the 3" straight strip to the ruffled pieces using a straight stitch. Then I used a staple gun to staple the bedskirt right to the bed. 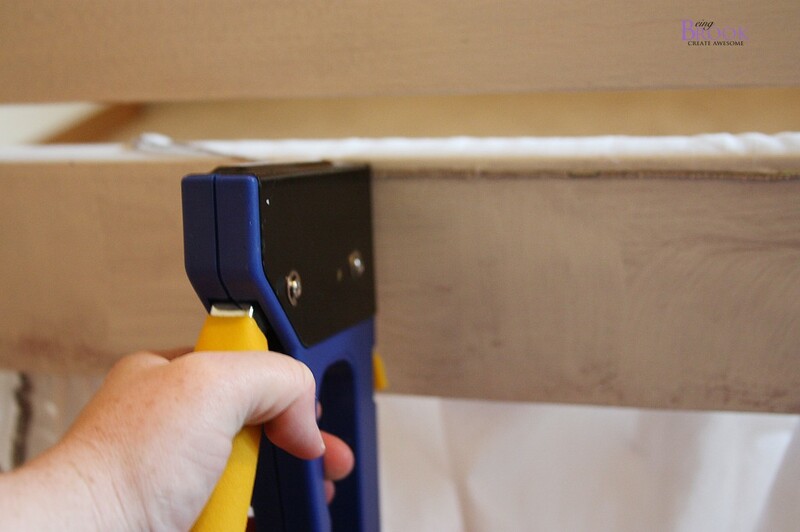 You could also use velcro if you didn't want to put holes in the bed. I put a staple about every 4 inches. 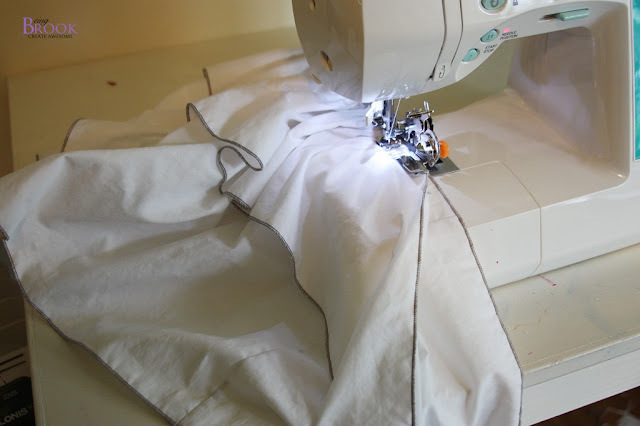 If I made another bedskirt I would have made my fabric strip 4" to make it easier to staple. Love! 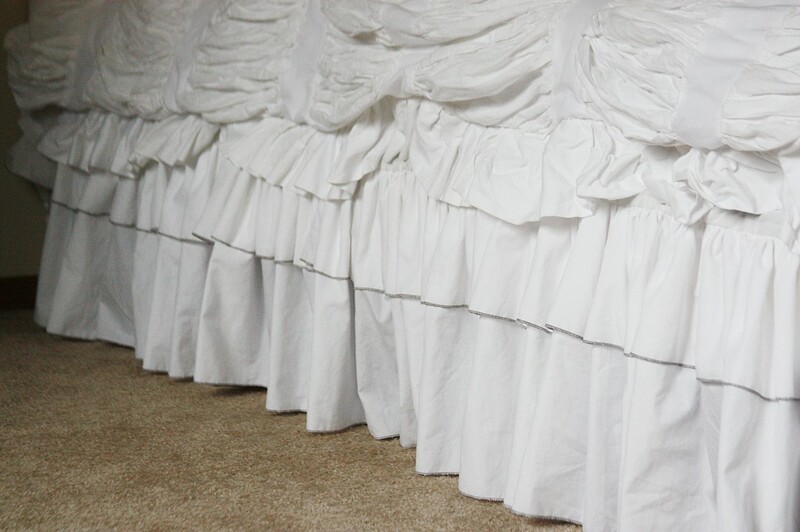 The bedskirt looks super cute with the ruffled duvet and curtains. Love how her room is coming together.